Observation - south side street 1 - UK and Ireland. Description: Street scene. Phlyctis argena? white paint lichen. Street scene. Phlyctis argena? 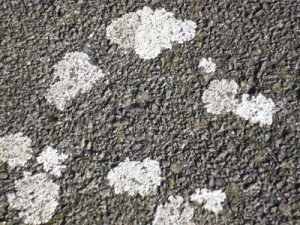 white paint lichen.